NO Tacky Advertisement on our vehicles!!! It's your special day, not our day to advertise. The last thing you want in your pictures is our company name plastered all over the windows of the limo. Your wedding day is going to be of the highest class. Shouldn't your transportation? 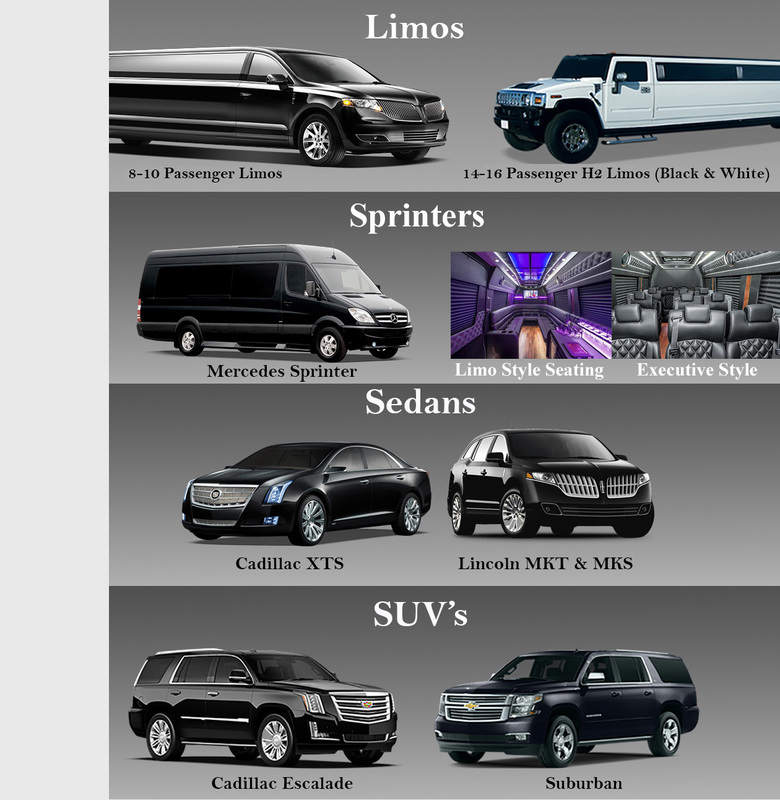 All limos come with real crystal champagne glasses, rock glasses, mirrored ceilings and bars. Weddings do have special rates. We offer a 15% discount on most weddings. You will then see the discount before giving you financial information.